Get a quote on your project fast! At Blind Concepts, we offer free quotes for blinds online. Our venetian blinds online quotes are aimed to provide you with a fair idea our products. This helps you to understand whether we make a right partner for you or not. Our fair quotes also help you to identify whether we make the right fit for your budget and project. Whatever type of blinds you are looking for; we can help you with everything. Our professionals will analyze your requirements before providing you with the quote. 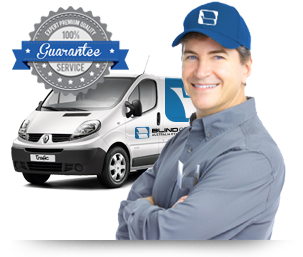 As we strongly believe in providing top-quality products to all our clients at extremely affordable prices, at Blind Concepts, we stress on providing exact quotes. These quotes can help you to plan your project well and understand the price differences between different types of blinds. Right from venetian blinds and cellular blinds to different types of awnings, we can provide you with the right quotes for every type of blinds. Our free quotes are accurate and highly reliable and we can also provide customized quotes for specific projects. Our professionals will first understand your requirements and then provide you with the right quote. This helps you to plan your project accordingly. Whether you are looking out for new curtains or are planning to replace your curtains with blinds, we can provide you with the right quotes for everything. Besides, we have also clients come across clients who just want to convert their manually operated blinds and/or outdoor curtains to motorized versions. We can help with that as well. Our experts have many years of industry specific experience and have provided quick and accurate quotes to all our clients. We also provide custom quotes. Here, we provide specific quotes for interior blinds, outdoor blinds, curtains, as well as repairs and venetian blinds cleaning. Just fill out the form to get a quote for your next project. Our experts will then review all the details provided by you and provide you with a free quote. We will also contact you to confirm your booking.